i do love cooking when i’m in the mood, but sadly not when i have to. (otherwise it feels like a chore!!) it can be calming, it can be meditative, it soothes the soul and the sense of accomplishment i feel when i’ve finished creating something nourishing and delicious gives me the occasional boost i need. 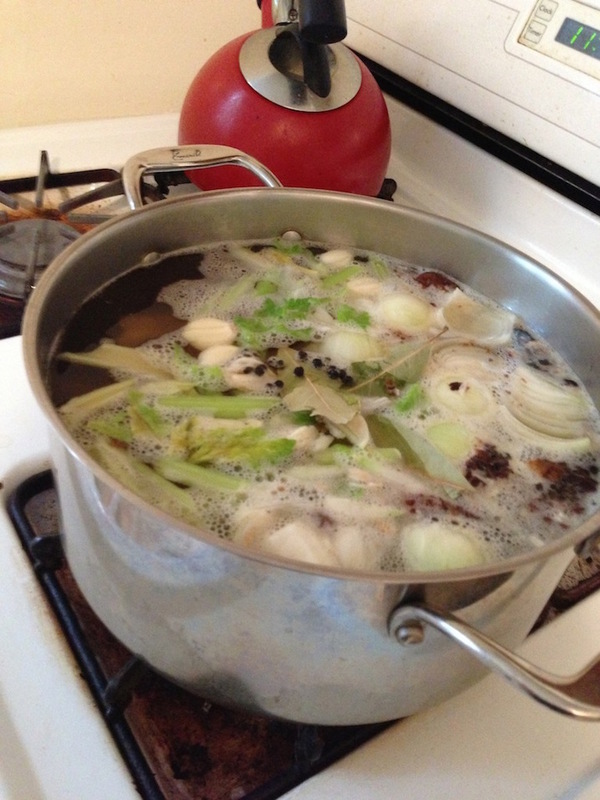 so as i’m filling my big stock pot with water, i’m musing, and while i’m separating the chicken meat from its bones and dropping into the pot all of what remains of the carcass, i’m musing. 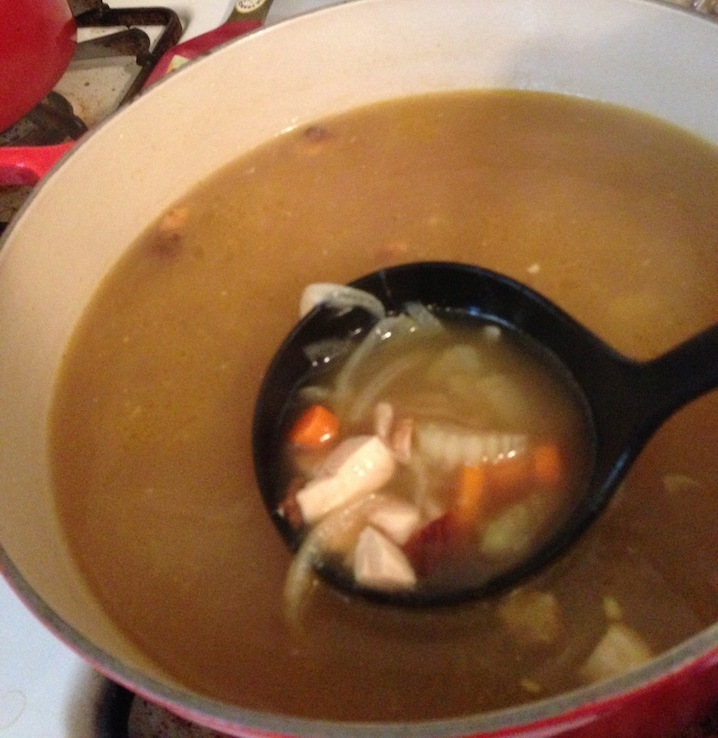 (to make real chicken soup, you need real chicken stock :wink:) i cut up a couple carrots, onions, several stalks of celery, smash some garlic cloves and add it all to the pot. i also add in a teaspoon or so of whole peppercorns, and throw in 3 lovely Turkish bay leaves. they are so healthy and vibrant that some of them are 4 inches long! and lastly i add all the juices from the roasted chicken, put a lid on the lot and set the timer for a couple hours. 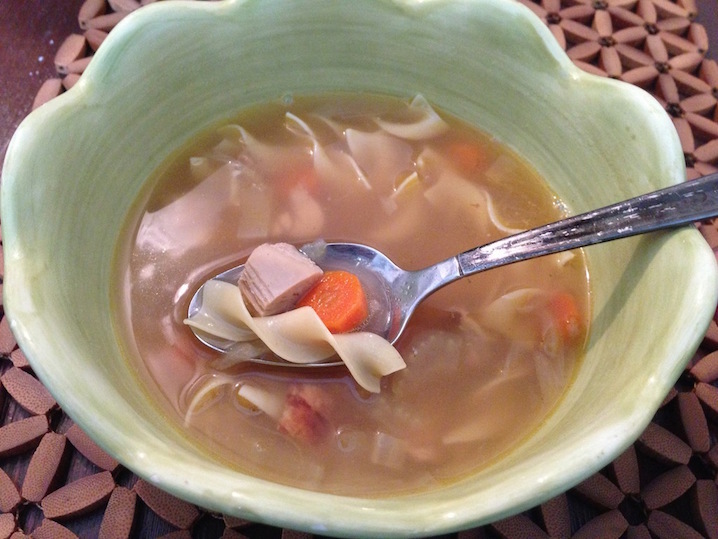 i’m feeling full of hope today, and by the time i get to my desk, my place is taken over by the rich, warm, magical aroma of chicken broth and i’m urged to write this blog, full of my earlier musings. and i’ve also gained more inspiration to write a piece on one of my songs (that will hopefully & most likely get published in an online magazine that i love, soon!!) i’m hopeful for America, praying that we can all work together to create a nation that we can all be proud of and thrive in. after all, we deserve it and why would any of us want to limit that possibility?